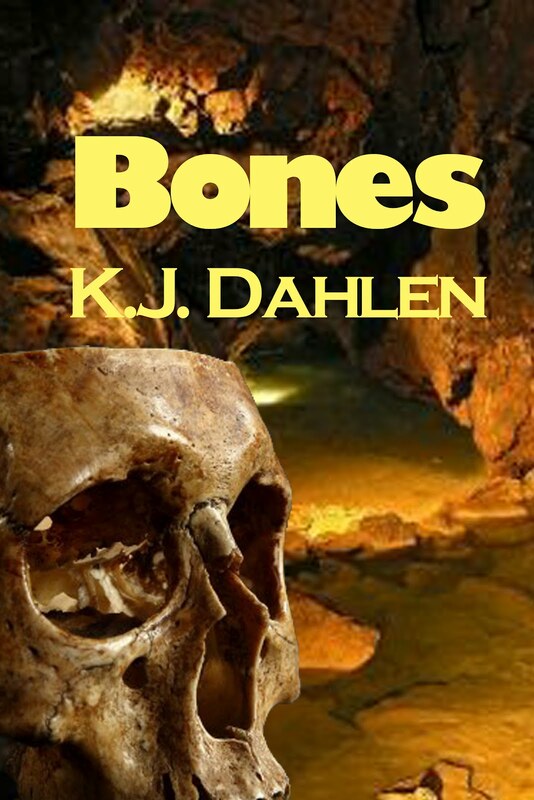 This guest blog is part of a Virtual Book Tour for Bones organized by Goddess Fish Promotions. Leave a comment to be entered into the drawing for a $10 Amazon gift certificate, plus the chance to help her with her new book--the winner will get to write a short blurb and K.J. will write the book based on it. Click on the banner for the other stops on her tour. Remember, the more you comment, the better your chances. This is Max’s story for the most part. He’s a broken man just trying to get by. He lost the love of his life when a killer murdered her. He found the killer, then lost his partner, Joey’s dad, because he didn’t take the shot. He didn’t take the shot because the killer had his partner hostage. He thinks he made the wrong choice but given the circumstances he never really had a choice. Max is a good man but he’s only human. As such, he’s made mistakes in his life but he’s doing the best he can to do right by the people in his town. He found out the hard way that big city life wasn’t for him. When he came back to small town living he found his place again. At least here he could breath and not feel the pressure of the concrete and asphalt closing in on him. He is surprised at the number of women that have gone missing in the last few years. When he tells Joey about the night her father died, she understands what happened better than he realizes. She knows he didn’t have a choice and as soon as her father was taken hostage he put his life on the line for his friend. When Joey forgives him he feels a sense of relief he hasn’t felt in a long time and it gives him a small piece of his life back. That starts a healing process Max needs. Joey followed Max and her father into Law Enforcement because of Max and the work he does. She likes the fact that she can bring the dead back to life and get justice for them. She learned that from Max and her father. Kim lives in a small town (population 495) in Wisconsin. From her deck she can see the Mississippi River on one side and the bluffs, where eagles live and nest on the other side. She lives with her husband Dave and dog Sammy. Her two children are grown and two grandchildren and for that fact she feels blessed. She loves to watch people and that has helped her with her writing. She loves to create characters and put them in a troubling situation and just sit back and let them do all the work. They surprise even her at times. They take on a life of their own and the twists and turns become a story. She found she liked mystery/thrillers the best. She likes to keep her readers guessing until the very end of the book. Her next book coming out is in March 2012, titled Fall from Grace. When a threat against America comes to the surface, retired Homeland Security agent Lincoln Hawks is brought back to help put down the threat. He finds the group he's after is the same group that murdered his wife and daughter five years ago. Can Lincoln stop The Ghost Crew before they destroy America? This book is being published by Bucks County Publishing. She is also published by Rogue Phoeniz Press, Solstice, and Avalon. She is on Facebook and Twitter as kjdahlen. Thank you for hosting KJ today! This story sounds like a really great mystery. This is on my to read list now. I like the "What's NOT in the blurb"! Makes me want to get to know more about Joey & Max. Thanks for the post. I am enjoying the excerpts of your story so much, it is definately going on my BTB list! I am looking forward to reading BONES. It looks wonderful. Oh wow, that sounds dark and exciting! Very cool! I love thrillers and the chance to be a part of the writing of one would be awesome.